The last thing any Ashland homeowner wants is to find themselves stuck in the middle of summer without a working air conditioner. AC units are designed to last a long time, but that doesn’t mean they can’t experience their fair share of problems. Our professional AC services can help you maintain, repair, or even fully replace your existing unit so that you know you’re prepared once summer is here. Regular maintenance is the only way to ensure your unit will live as long as it should. Surprisingly, many homeowners go years without having a trained technician maintain their system. You’re advised to schedule preventative AC maintenance at least once a year. This will allow your AC to run consistently at its peak performance. You can work with our trained specialists to schedule a regular maintenance and care plan. We will schedule regular visits to inspect, clean, and maintain your unit. You won’t even have to worry about remembering to schedule the visit in the future. It’s an easy solution to a common problem. Regular maintenance typically includes the same basic services. The unit is inspected for any obvious defects or efficiency problems. The air filter is replaced and the condenser coils are completely cleaned. We check for any refrigerant leaks while also checking that the unit is charged with the correct amount of refrigerant. Airflow, electrical terminals, motors, belts, and the thermostat are all inspected as well. Unfortunately, accidents can still happen. A lack of regular maintenance makes those accidents more likely. You may already be at the point where a repair is required. AC repairs can run the spectrum from very minor to extremely severe. Hiring an HVAC professional who can properly test, diagnose, and repair all possible AC issues is vital. The most common AC repairs typically involve the thermostat, refrigerant levels, or airflow obstructions. Luckily, all of these problems are fast and easy fixes for trained professionals. If disaster strikes and one of these problems is the cause, then we can have your unit up and running in no time at all. There are some cases where the problem is just too severe or too expensive to fix. In those cases, you may need to have the existing unit removed and replaced. It’s a job that definitely takes more time than your average repair, but still one that can be handled in a timely fashion. We will work with you to make sure you get the possible unit for your home. 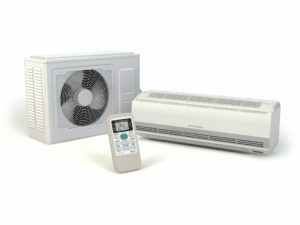 Many AC problems originate from the installation. If not installed properly, a unit can run at as little as 50 percent efficiency. We guarantee that your new unit will run at peak performance. Of course, you don’t have to wait for your AC to die to install a new one. If your unit is more than a decade old, then you may consider investing in a more efficient unit. We can help you there as well. We’re here to help you through the hottest months with full-service AC repairs, maintenance, and replacement. Call our office today to schedule a routine preventative maintenance visit.